Hello! Welcome to the last stop for both the She Did It! : 21 Women Who Changed the Way We Think and Little Dreamers: Visionary Women Around the World blog tours hosted by Rockstar Book Tours. I'm really happy to share my thoughts on these two inspiring books with you! Prepare to discover new heroes among these twenty-one women who challenged the status quo, championed others, and made their voices heard. From Jane Addams to Alice Waters, from groundbreaking artists and social justice advocates to scientific pioneers and business innovators, a strong thread of trailblazing women runs through American history. 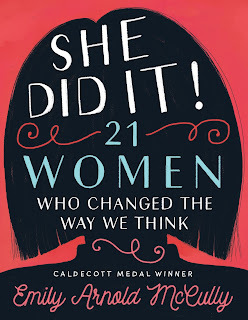 Written in compelling, accessible prose and vividly illustrated by Caldecott Medalist Emily Arnold McCully, this collection of inspiring and expertly researched profiles charts the bold paths these women forged in the twentieth century. I received an ARC from the publisher in exchange for an honest review. My thoughts and opinions are my own. Any quotes I use are from an unpublished copy and may not reflect the finished product. I didn't know who most of these women were before reading She Did It! : 21 Women Who Changed the Way We Think. However, I thought their stories were fascinating, and their accomplishments were truly remarkable. I'm really glad I had an opportunity to read this book and learn about some of the women who have greatly impacted the world we live in today. Each person has a few pages dedicated to their lives and their achievements. I really liked how detailed the information was, and that it wasn't dense or done in way that made me feel like I was drowning in facts. The author tells a short story about each individual woman, their lives and contributions, and small details that referred to their personal as well as professional lives. My husband and I took turns reading this one to our kids. The girls are still too young to understand most of it, but our son thought it was interesting. He had a lot of questions afterwards, and I would say this one is meant for an older audience, but I enjoyed sharing these stories with him. It would be a lengthy read on its own, which is why we would only read about two or three women at a time. I think that gave us time to process what we were reading, and not confuse people later on. Emily Arnold McCully received the Caldecott Medal for Mirette on the High Wire. 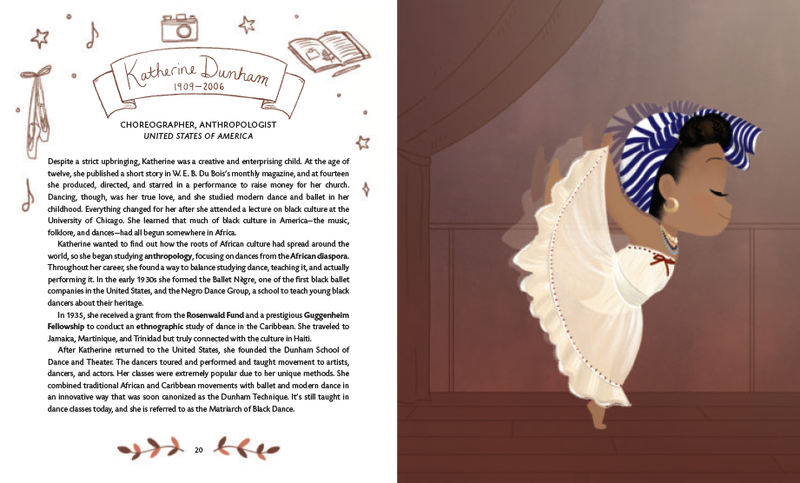 The illustrator of more than 40 books for young readers, she divides her time between Chatham, New York, and New York City. 3 winners will receive a finished copy of SHE DID IT! 21 WOMEN WHO CHANGED THE WAY WE THINK, US Only. 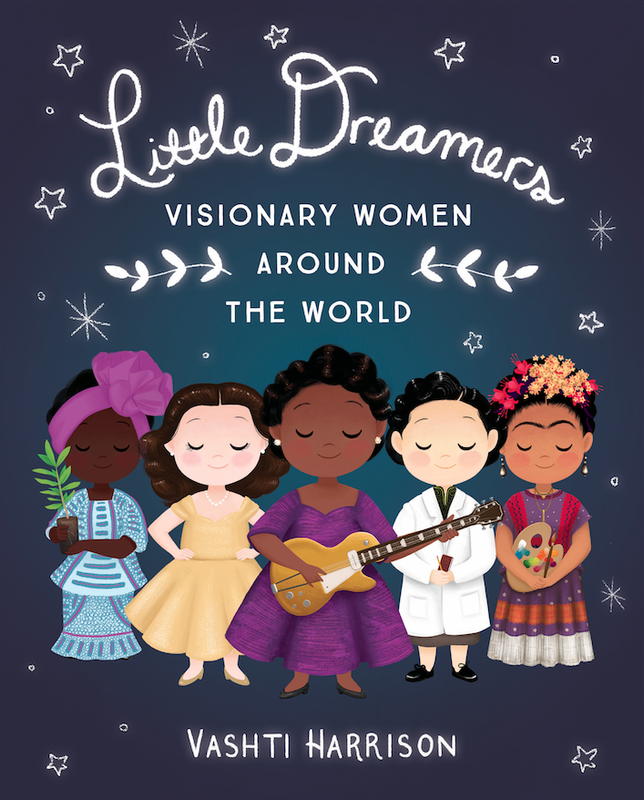 From the New York Times bestselling author of Little Leaders: Bold Women in Black History comes the highly anticipated follow-up, a beautifully illustrated collectible detailing the lives of women creators around the world. Featuring the true stories of 40 women creators, ranging from writers to inventors, artists to scientists, Visionary Women Around the World inspires as it educates. Readers will meet trailblazing women like Mary Blair, an American modernist painter who had a major influence on how color was used in early animated films, actor/inventor Hedy Lamar, environmental activist Wangari Maathai, architect Zaha Hadid, filmmaker Maya Deren, and physicist Chien-Shiung Wu. Some names are known, some are not, but all of the women had a lasting effect on the fields they worked in. The charming, information-filled full-color spreads show the Leaders as both accessible and aspirational so reader knows they, too, can grow up to do something amazing. 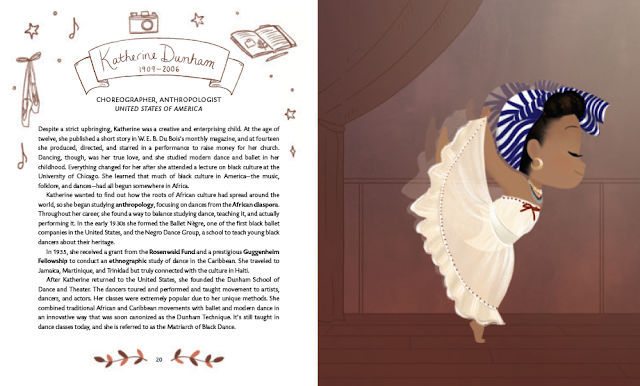 Little Dreamers: Visionary Women Around the World was beautifully written with amazing illustrations! It was only after starting this post that I realized all of the women have their eyes closed. I wonder if there's a reason or significance for that? Regardless, the illustrations really complemented the information being shared about each woman. Like with the other book, most of these woman were unfamiliar. I think I actually preferred not knowing anyone, because it made for an even more enjoyable learning experience. This one is meant for younger readers, which is why I think my son paid closer attention to this one. 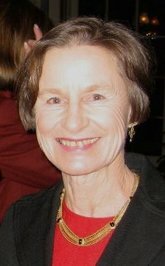 Vashti Harrison was able to condense the information about each individual woman and present it in a way that was both informative and interesting. I believe books like this are really important, and I'm happy that they are going to be out in the world. I want my children to know that they have the potential and the ability to do great things, and that their gender doesn't matter. It's books like this that give me hope for a better future for my children. Part author - illustrator - filmmaker, Vashti Harrison is an artist originally from Onley, Virginia. She has a background in filmmaking and a love for storytelling. 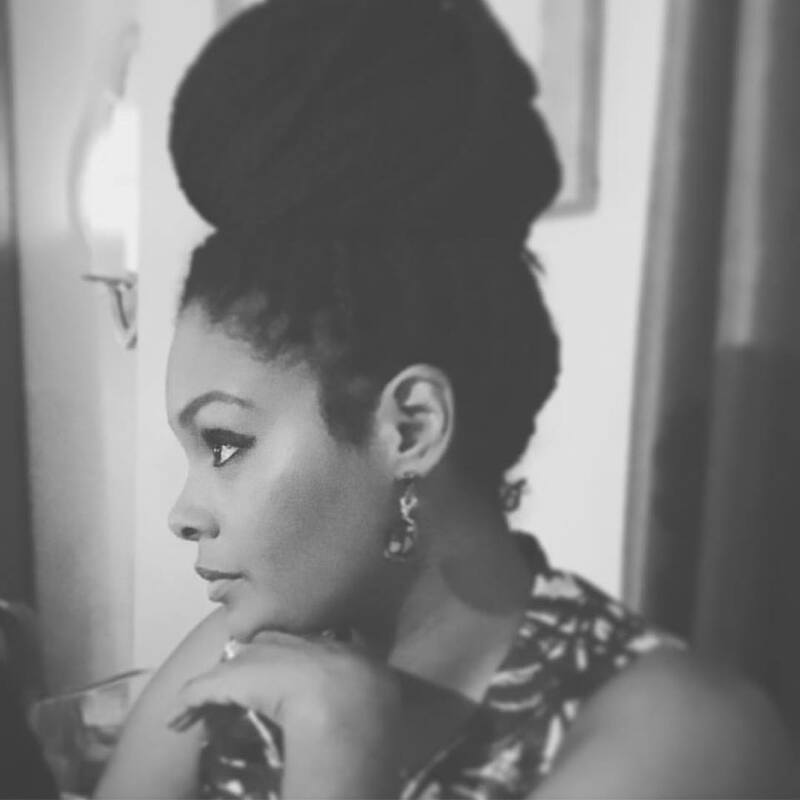 She earned her BA from the University of Virginia as a double major in Media Studies and Studio Art with concentrations in Film and Cinematography. She then went on to receive her MFA in Film and Video from CalArts where she snuck into Animation classes to learn from Disney and Dreamworks legends. There she rekindled a love for drawing and painting. 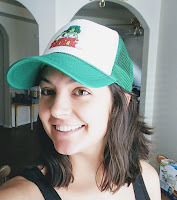 Now, utilizing both skillsets, she is passionate about crafting beautiful stories for children and young adults in the film and kidlit worlds. 3 winners will receive a finished copy of LITTLE DREAMERS: VISIONARY WOMEN AROUND THE WORLD, US Only. Wow, this sounds like such a cool book and one that is very needed. Thanks for sharing it! Are you talking about She Did It! or Little Dreamers? I thought they were both really remarkable books! One is more kid-friendly, but they each offer unique perspectives on people we're not familiar with. I love both of these books, Lindsi. I am so happy to see the spotlight shining on all of these remarkable women, epsecially now as women are rising up and seizing the day with the #Me Too Movement and all the women who were just elected to Congress. It is nice to see women empowered! I was really excited to see how many women were elected this year! It's crazy that we're still not treated as equals in this day and age. What are men so afraid of? I love that there all these books coming out that celebrate women, past and present! Yes! It's amazing! There are so many books on men and what they've accomplished, and women have been overshadowed and overlooked in the past. It's refreshing to see their achievements highlighted and celebrated. Goodness, these both look AMAZING. I have wanted Little Dreamers for my daughter (and who am I kidding, myself too obviously ha) since I first heard about it, and while She Did It is new to me, it sounds just as awesome! I love all these powerful women stories! Thanks for sharing them! Right? It's a great book for us and our children! Little Dreamers was my favorite of the two, because it was a lighter read and had beautiful illustrations! She Did It! is a little more dense, but not overly so. Both were enjoyable!